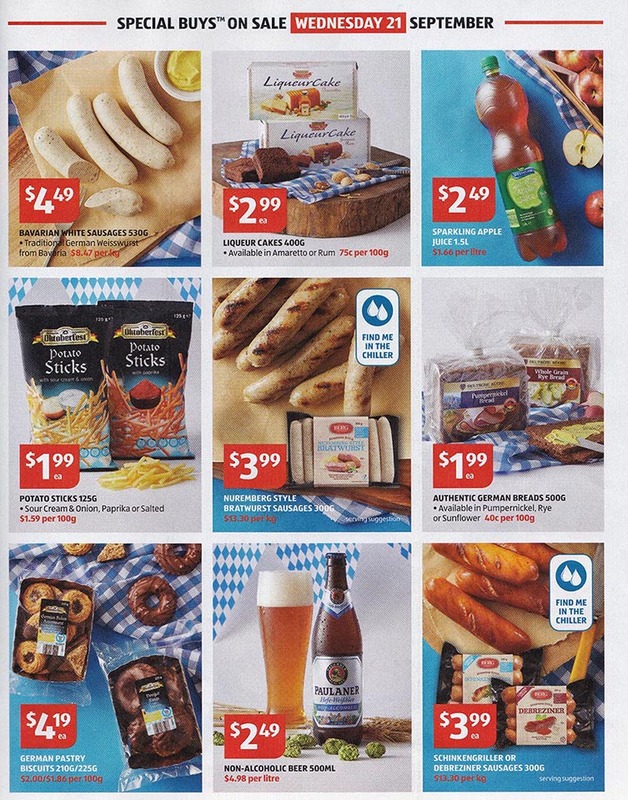 German supermarket chain Aldi has Oktoberfest supplies on sale starting this week as it does every year. So if you’re planning your own private beer drinking festival go and stock up. You’ll find plently of traditional Bavarian treats such as saurkraut, German style mustards, potato rösti, bretzels, Weisswurst and plenty more. 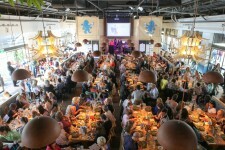 The big new player in Melbourne for the past year has been the Munich Brauhaus, and I mean BIG! It’s capable of seating over 700 diners at any one time and has space for up to 1100 guests when you include the bar areas. It’s run by the same group that brought you the Bavarian Bier Cafe’s in New South Wales and Queensland and also Löwenbräu Keller in Sydney so they should have an idea of how to run German restaurants. Located at South Wharf beside the Yarra River a short distance from the the Exhibition Centre, the venue has several bars, dining areas, mezzanine dining levels and an outdoor dining area. They have the main Munich beers; Hofbräu, Löwenbräu, Paulaner, Spaten and Hacker-Pschorr. Plus at the moment they have the actual limited run Oktoberfest brews straight from Munich. There’s entertainment at peak times plus throughout October there’s additional events including competitions and events for kids on Sunday’s. For current event info and menu’s check out their website at www.munichbrauhaus.com. Planning to have your own Oktoberfest celebration? Well the German supermarket chain Aldi is a good source of supplies. Each year around this time they stock some specialty Oktoberfest items and this year is no different. 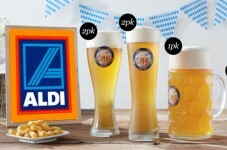 Aldi special buys starting Wednesday 23rd September include German style beer steins and glasses. The 1 litre and 500ml steins are the traditional dimpled glass style. 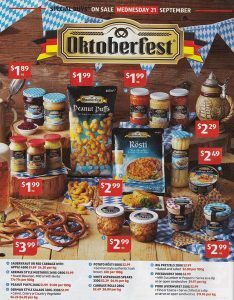 Also available are a few German foods popular around Oktoberfest including Potato Rösti, german mustards, sauerkraut and red cabbage and peanut puffs. Some imported German beers are sure to pop up sometime soon so keep your eyes peeled. 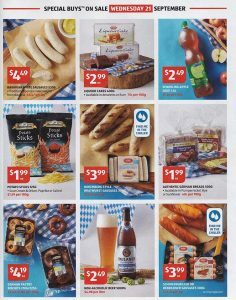 See the Aldi catalogue here.